Nigeria’s 36 states find themselves in a predicament today as centres of development without the requisite empowerment for driving economic growth. In theory, Nigeria is a federal state composed of coordinate central and provincial governments but in reality, the states are inferior entities to the federal government. By fiat of military decrees, the states became divested of ownership of the mineral resources in their territories, thus making the country an oddity of a federal state. Hangover from military rule has not afforded the political class recognition of the urgency for fiscal federalism. It is a measure of our unitary mindset that in 16 years of democracy since 1999, the country still operates a feudal revenue formula that allocates 52 percent of national revenue to the federal government at the expense of 36 states. The marginalisation of states in revenue allocation is however compounded by the volatility of other contending socio - economic forces. From ancient to modern times, governments have had to contend with the vagaries of economic recession. The ability to predict and weather the storm of recession is one that demands a high level of competence in political economy. The depression which set into Nigeria’s economy in 2014 has now matured with grave consequences. Traceable to oil glut and lower prices, corruption and the massive deployment of public funds in the 2015 electoral contest, the resulting insolvency especially among states of the federation has necessitated an emergency bailout plan. A breakdown of the N338 billion intervention fund courtesy of the federal government and the Central Bank of Nigeria for 27 distressed states show that four of the five south – eastern states will draw over N48 billion credit facilities. The name conspicuously missing on the loan list is Anambra State, which is also the exception to the problem of indebtedness to workers, thus prompting legitimate interest on the secrets of Anambra’s fiscal stability. There is every likelihood that the orchestrated $75 billion cash and investment portfolio said to have been handed over to the administration of Governor Willie Obiano by his predecessor, Peter Obi, will be cited as the source of the state’s financial health. This tendency is all the more probable given the perceived reluctance of the state government to join issues with the past administration on disputed areas of the handover note. Public policy analysts familiar with government expenditure patterns have faulted the handover notes for glossing over the issue of liabilities especially in the area of domestic debts. A closer look however at the state’s current profile indicates that management rather than inheritance underlies the state’s economy’s rating. Although not yet an oil – producing state nor in the premier league of federation account recipients list like Kano and Sokoto states, Anambra State has proved to be fiscally resilient from the Peter Obi years to the one and half years of Obiano’s administration. Against the backdrop of the prevailing illiquidity in the country, the fiscal stability achieved by the current Anambra state government even while recording extensive infrastructural projects is remarkable. In just one year, Governor Obiano awarded contracts for no less than 250 kilometres of roads, a record unrivalled by any previous regime – military or civilian. Work is also in progress on three flyovers and other landscape – changing projects in the capital city, Awka. The Obiano regime increased workers’ salaries by 15 percent in its seventh month even as it is up to date in the counterpart funding of ventures with international development agencies. The first insight into the secret of Anambra’s fiscal resourcefulness is in the area of blocking of leakages that would have allowed government funds to end up in private pockets. An auditor of repute, Obiano has brought his rich experience in corporate management to bear in the running of the state’s financial system. So much has been said and written about the role of corruption in Nigeria’s underdevelopment that it is mind – boggling many Nigerians are resigned to the scourge. Between the greedy public and civil servants in vantage positions on the one hand and the powerful political manipulators otherwise known as godfathers on the other, lies the threat to the system. However as the Anambra experience shows, with the application of monitoring and control mechanisms, the window of fraud is considerably narrowed. The effectiveness of this model is believed to have earned Anambra State lead rating in International Public Accounting System [IPSAS] survey of Nigeria’s most transparent and accountable state in 2015. In the assessment, the Obiano administration scored over 80 percent fiscal merit, the highest ranking in the south – east. 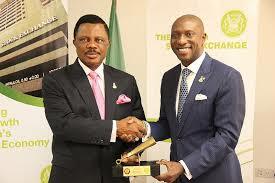 Planning is seen to constitute another major plank of the Anambra story. As public expectations of state governments continue to rise with 16 years of uninterrupted democracy, it becomes imperative for states to reappraise the opportunities for achieving sustainable development. Planning would not serve its purpose except anchored on priorities and alternatives for actualisation. In the light of the disruptions to development programmes by our mono oil economy, it is interesting to see how proactive management has stood Ananbra State on balance. The insight is provided by the Governor himself: ‘We analysed the Nigerian economy and foresaw that oil prices would crash to about $55 a barrel in less than one year. We foresaw that if oil prices crashed, it would bring down our revenue by 50 percent. Having figured that out, we began to work on improving our IGR by restructuring our revenue sources.’ It remains only to add that this economic intelligence is achievable given the supply and demand volatility of the international oil scene. From the above, it is easy to see that the by – product of fiscal discipline and planned restructuring is increased internal revenue. Diversification of revenue sources, ordinarily a common sense demand, assumes greater urgency for the states in the face of the deliberate politicization of fiscal federalism in the country. The undue advantages to ethno – regional interests from the present distortions in the system indicate that there will be no meaningful shift to federal revenue principles in the near future. With its commitment to continuity and completion of inherited projects, the Willie Obiano regime has saved Anambra State losses associated with policy inconsistency. It is a grim reality that projects are sometimes discontinued for new ones by new administrations for the lure of taking political credit. The spectre of abandoned work sites is also about contractors absconding from site after collecting hefty payment sums. As it were, without completion on schedule, government contracts are vulnerable to manipulation to the detriment of the society. Delays in public works execution are maximally exploited by contractors and other vested interests in pressing for contract review and variations. The policy of project continuity thus becomes a veritable tool both for cutting costs and getting good value for public money. It is perhaps no longer news that Governor Willie Obiano has attracted $2.4 billion worth of investment to the state till date. A glance at the investment sheet shows that a broad range of critical sectors from agriculture, manufacturing, hospitality and tourism to power generation are beneficiaries of the capital inflow. In various stages of development, the chain value of the agro – allied enterprises offer soothing economic and social potentials in the face of unemployment concerns. What is striking in these partnerships is the evidence that they are not ad hoc but in pursuit of the administration’s inaugural objectives to make Anambra State a leading producer in rice, cassava, garri, palm oil and fish. The other outstanding legs of the investment bang are the $100m natural gas project being undertaken by Falcon Corporation Limited and the $50m vehicle assembly plant by Richbon Nig Ltd. The strategic importance of these ventures in the quest for an industrialized economy cannot be over – emphasized. It goes without saying that the investment rain has potential for reflating the state economy and freeing up government funds for intervention in other sectors. The lesson from the country’s present economic difficulties is to the effect that while marginalisation of states in revenue sharing should be discontinued, huge revenue earnings by itself does not guarantee financial health as much as creative management, as Obiano’s Anambra demonstrates. 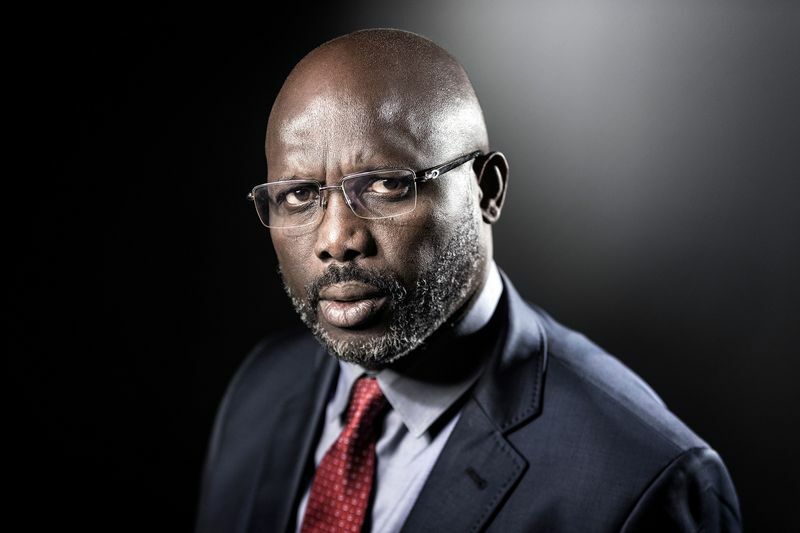 Profile of Liberia's president-elect George Weah George Oppong Weah, the candidate of the opposition Coalition for Democratic Change (CDC), was officially declared the president-elect of Liberia on Friday, following a presidential run-off election in the West African country. Weah defeated incumbent vice president Joseph Boakai with 61.5 percent of the total votes cast, representing a total of 732,185 votes in the election conducted by the National Elections Commission. A total of 1,218,124 people voted in the delayed presidential run-off Liberia Presidential election. Share Your Products Or Videos For The World To See, We Currently command well over 10 million viewers within and around the world, take advantage and showcase your reach cultural and business potentials that you feel might interest the world. 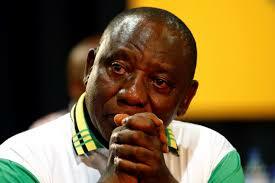 Cyril Ramaphosa has been elected as the 14th president of the ANC. Ramaphosa became deputy president after his election to the position in the ANC in 2012. At the time he was wooed by President Jacob Zuma’s camp to give the slate “credibility” when then ANC deputy president Kgalema Motlanthe contested Zuma for the top post. Before that he was the chair of the national planning commission that produced the National Development Plan, the country’s blue print for growth towards 2030.